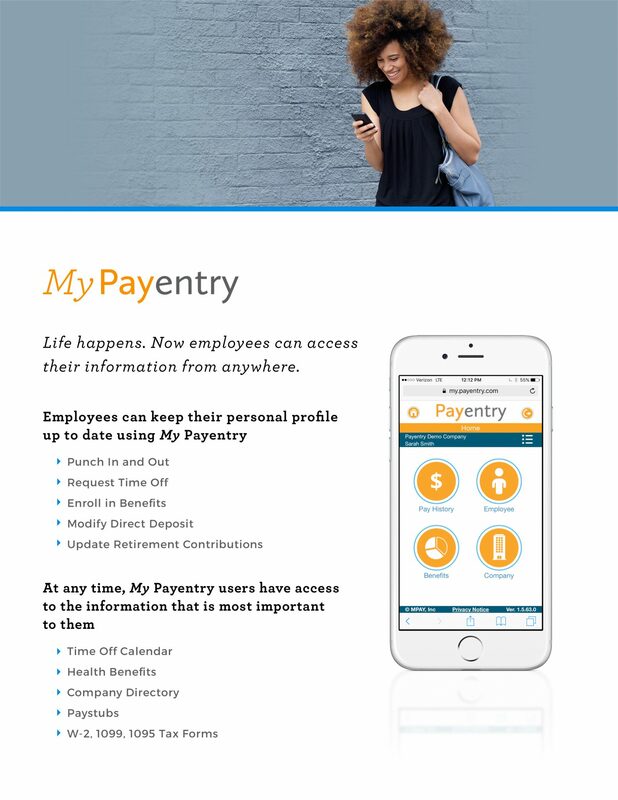 My Payentry lets employees quickly access paystubs, update direct deposit information, log time punches, and more; all from a smartphone or desktop. 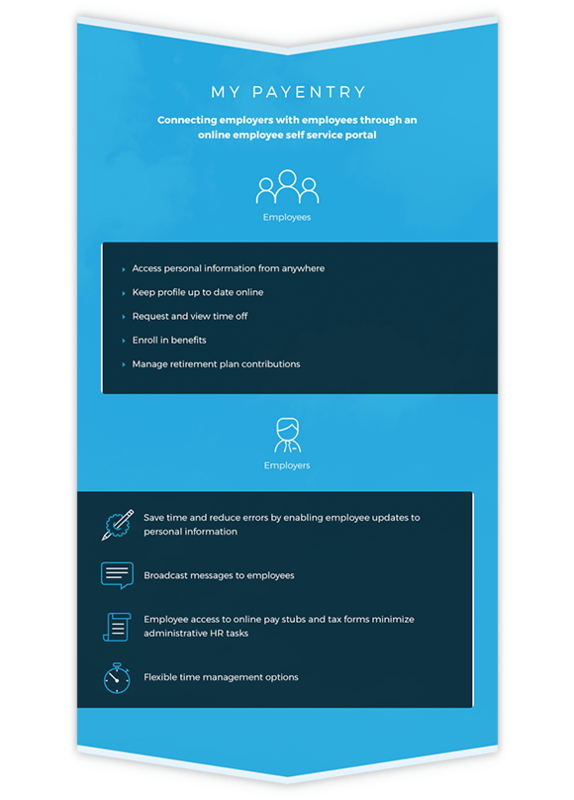 These features are a service to both your HR Team and your employees, allowing employees to access what they need when they need it, and cutting down on frustration and time spent on paperwork and duplicate requests. My Payentry makes HR easier for everyone.